The Murr Athletic Center Locker Rooms renovation project included architectural and mechanical alterations to 1,850 square feet of the athletic facility. 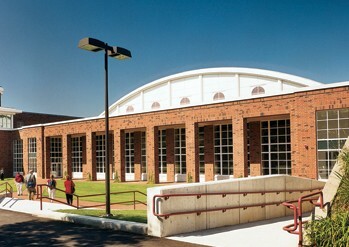 The Murr Center tennis courts, a state-of-the-art complex complete with spectator seating, received a 1999 USTA Facility Award which recognizes high standards in public tennis facilities. 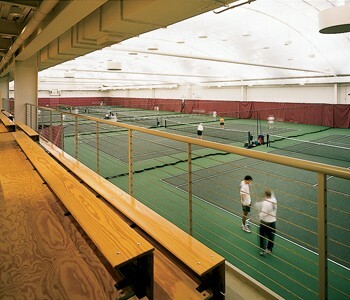 Its six indoor courts, combined with the 18-court Beren outdoor facility gives the tennis teams arguably the finest facilities in the Northeast. The building also houses 14 internationally-sized Squash Courts, giving Harvard a home deserved of its stature as one of the nation's top programs. The alterations provide locker room facilities for the squash court area. 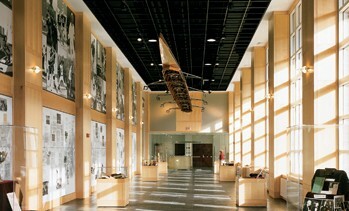 Existing space within the Murr Tennis Center was repurposed to provide additional space for athletes to change and shower. The work involved selective demolition of flooring, gypsum board, ceilings, plumbing fixtures, finishes and existing MEP systems. The renovated space will include four baths, two showers, changing areas, lockers, and two small lounge areas. The new space was sustainably renovated at a minimal expense and the project team strived to meet their sustainability and efficiency goals which included, salvaging and reusing materials, furniture and furnishings and the use of recycled and regional materials. In consideration of the surrounding tenants and to insure indoor environmental quality, an IAQ management plan was implemented and the construction site was isolated for the building HVAC system.